When your washing machine goes kaput, it can be a real headache and inconvenience. 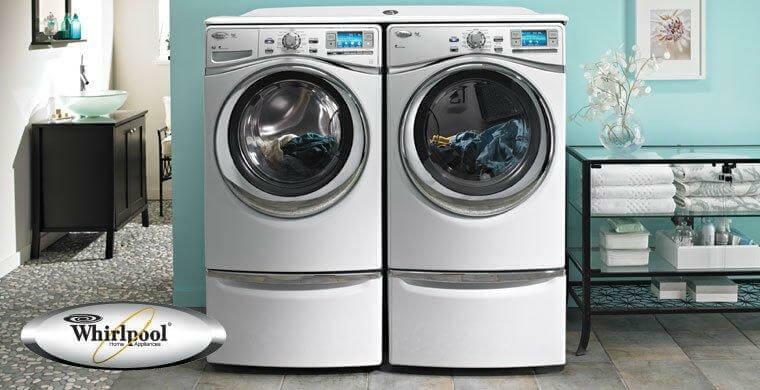 If your whirlpool washer is on the blink, call the professionals at Service Masters Appliance. Our company offers quality service by repairmen who have over 20 years experience. We specialize in the repair of Whirlpool washing machines. Our technicians use state-of-the-art technology to diagnose the problem. Once we know what the problem is, we will have your washer up and running in no time. A company’s reputation can make all the difference in the world. Service Masters Appliance has deep roots in the surrounding community and is one of the most trusted appliance repair services in the area. We offer same day and emergency service. We are also on standby if you have repair needs on holidays. Our company promises fair prices and discounts for seniors. Many repair services don’t put forth the extra effort to satisfy the customer. We go above and beyond to ensure customer satisfaction. If your Whirlpool washer is in need of repair, don’t hesitate to contact Service Master Appliance. it is our goal to provide you the most honest and professional service available. All of our employees are thoroughly vetted with background checks and drug tests. We off a satisfaction guarantee or your money back. We proudly serve the following cities of Valencia, Saugus, Sand Canyon, Stephenson Ranch and Newhall Ranch. 91350, 91386, 91382, 91345, 91321, 91310, 91325, 91390, 91380, 91384, 91386 and 91387. Call us today. We can schedule you an appointment while you wait. Many of our quality technicians live in the immediate area and can arrive at your residence as soon as possible.